Here again are a couple of character doodle sheets. 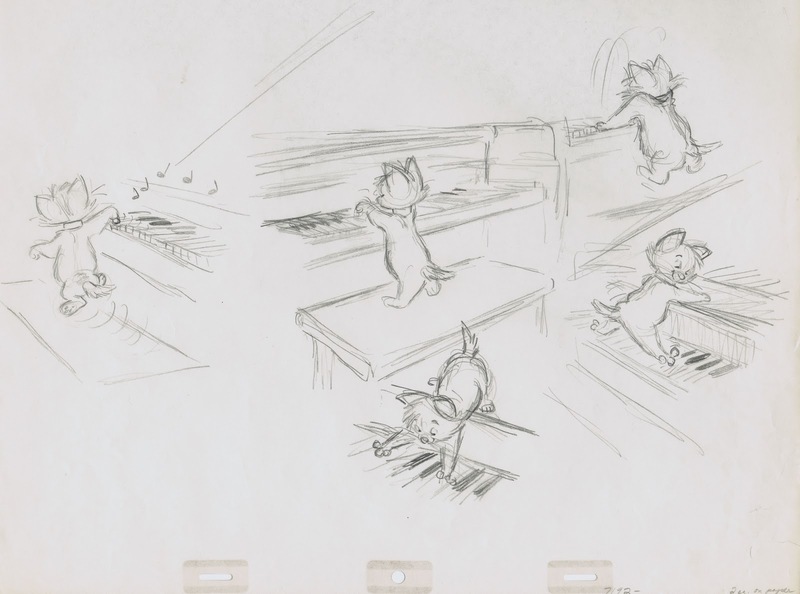 They explore ideas for entertaining poses and situations as the kitten Berlioz from "The Aristocats"
The first sheet is by Ken Anderson, the second one by Milt Kahl. Ken is drawing the character with a Beethoven hairdo, Milt did not incorporate that idea. Neither did he animate any of those scenes for the film, perhaps at one point he was was supposed to. I love all of these drawings. Ken seems to have endless ideas for this situation, and Milt gives Berlioz a lot of appeal by maintaining a cuddly softness in his anatomy. I love the characters in this film, esp Edgar. Always remember the gag of the parisian who sees Roquefort seemingly chasing the cats and thinks it's the drink! Did Milt animate/'storythink' this? Reminds of a line test you put up a while ago of a deleted scene from rescuers when a guy tosses a coin to buy a drink from the vendor. Milt probably did the design for this guy, but he didn't animate him. He seems to design the characters (+extras etc.) quite a lot as well as animate them and the major roles - but that was probably more the way back then, everybody helping out in multiple areas. Though I guess, like yourself, as the animator you always get to adjust the final design as you wish. That period, Robin Hood/Rescuers/Aristocats, always seemed to incorporate songs so purposefully, it wasn't just a case of someone breaking out into song that can sometimes be the case today. Like this situation - piano recital - song completely appropriate. 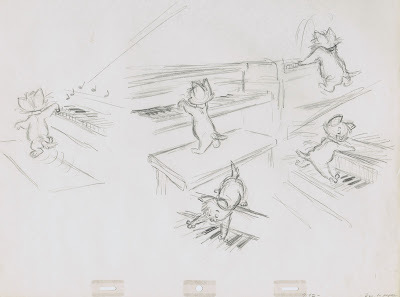 And 'The Artistocats' title song/ 'Love' in Robin, 'Rescue me' opening in Rescuers,all use songs similar to the way Pixar say they like to use songs: as the soundtrack, not characters necessarily having to sing them. Characters are often animated though more extreme when singing. I don't suppose you have preference over animating singing or speaking characters or approach them differently? Loving both these designs. The Ken Anderson Beethoven hair style ones look really fun! 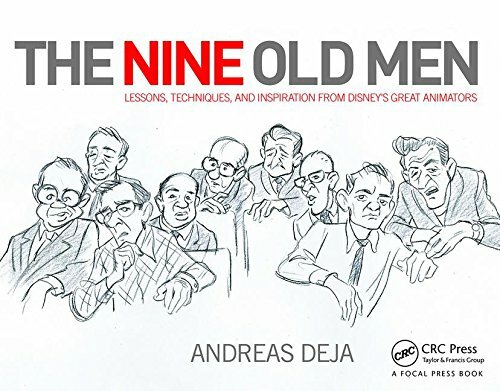 This is gold, Andreas! Thanks for showing these. I had never seen drawings of the kitties drawn by Milt. 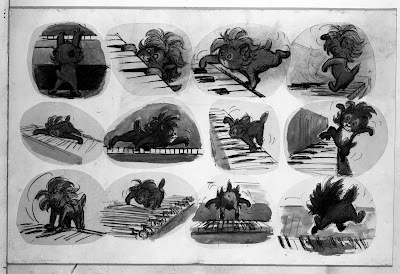 I love Ollie's animation of Berlioz and the other kitties, great acting on them. Love these! Berlioz with the Beethoven hairstyle – so cute! And I absolutely adore the way he plays the piano; it's has "cute little kitten" written all over it :D That's how my sister would play the piano if she could! I was wondering, how much is it to hire somebody like yourself to handle a scene of animation. 11 seconds to 1 minute long, i'm working on my own project and i keep looking to hire an animator but i havent find a source of good information for this type of thing. If you can help me out in finding this out i would be forever grateful. I've added a link to my project so you could see what i'm talking about, at this point i'm in the production process finding artist's to handle the character's/model sheets/scenes. Then i'm going to start my own kickstarter project to get the funding for the animation. I've already been accepted so i'm just pulling the artist's together to create and move forward with my story. (I genuinely don't know where else to go to get this type of information) there aren't any sites available for this type of thing if anybody else has any other information please let me know. Hi, just saw the link out of curiosity and WOW :D Especially the red and that blue together... very epic :D G'luck on your project! Thank you it's been a journey so far.